The PowerPak2 PDU provides intelligent and flexible power distribution through a 42" x 40" cabinet housing a 100 kVA - 400 kVA transformer. With hundreds of possible distribution configurations, PowerPak 2 PDU is the smallest power distribution unit with true front accessibility in today’s market. 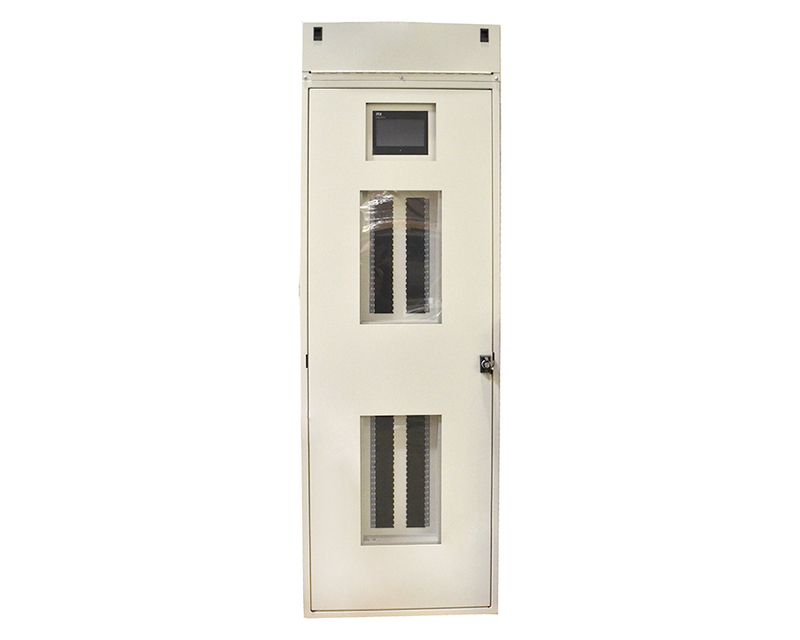 A patent pending 3D access window allows true front access (TFA) for service and maintenance while offering panel board and/or sub feed distribution in the main cabinet. PowerPak 2 offers up to 400kVA DOE2016 transformer and incorporates compartmentalized design in order to isolate low and high voltage components. WaveStar monitoring built into our PDUs give you real-time control of actual loads down to the individual breaker level. This important decision-making tool integrates PDI’s BCMS and Intelligent Monitoring System so you control system-wide performance, breaker power levels, along with current and voltage data. This means improved, more timely decisions can be made based on real-time load and capacity data, all in one interactive and monitoring package. The PDI WaveStar PowerHub PDU provides the highest available power density of any PDU. PDI’s award winning intelligent monitoring system is standard with these units. The PDI WaveStar® PowerHub™ Power Distribution System provides the highest available power density of any PDU. PDI’s award winning PDIQ intelligent monitoring system is standard with these units; this system integrates the proven PDU monitoring with PDI’s patented Branch Circuit Monitoring System and allows precise load control and management. Together these features result in less floor space, lower energy costs, higher density power, and better reliability. Central welded bus on the input and the output allows true front access and simplifies ongoing maintenance. 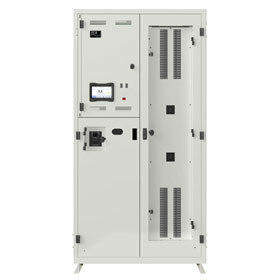 Ultra high efficiency data centre grade transformer for energy cost savings. Reduces power distribution footprint by up to 50% and offers the highest available power PDU density. 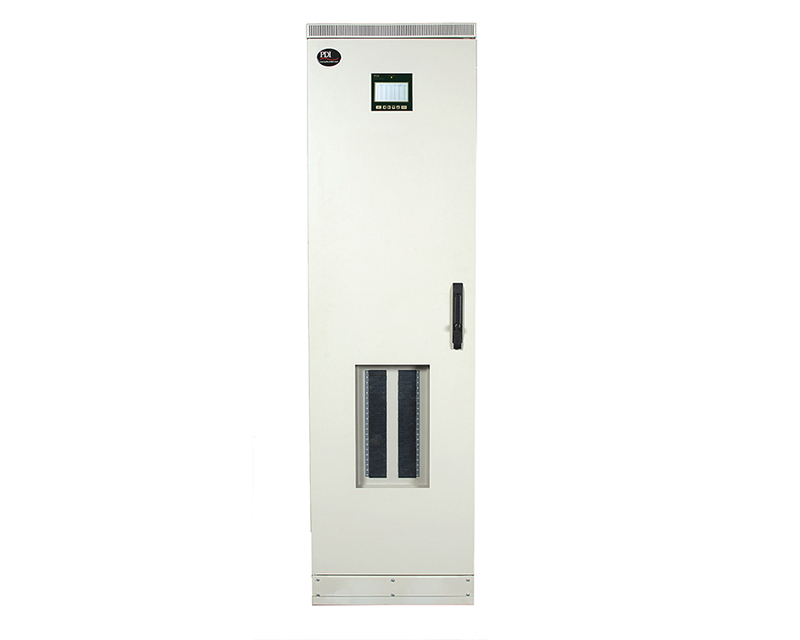 The Modular Compact Remote Power Panel is the most versatile RPP on the market today. Its 12” x 24” footprint allows installations that can be field modified. With over 150 possible configurations, the Modular Compact Remote Power Panel allows wall-mount, in-tile, on-tile and multi-unit installations that can be field modified. When combined with communications and high voltage compartmentalization, BCMS Monitoring, Trapped Key Interlocking and multiple panelboards configurations, the Modular Compact RPP can be adapted to the most demanding mission critical facilities. 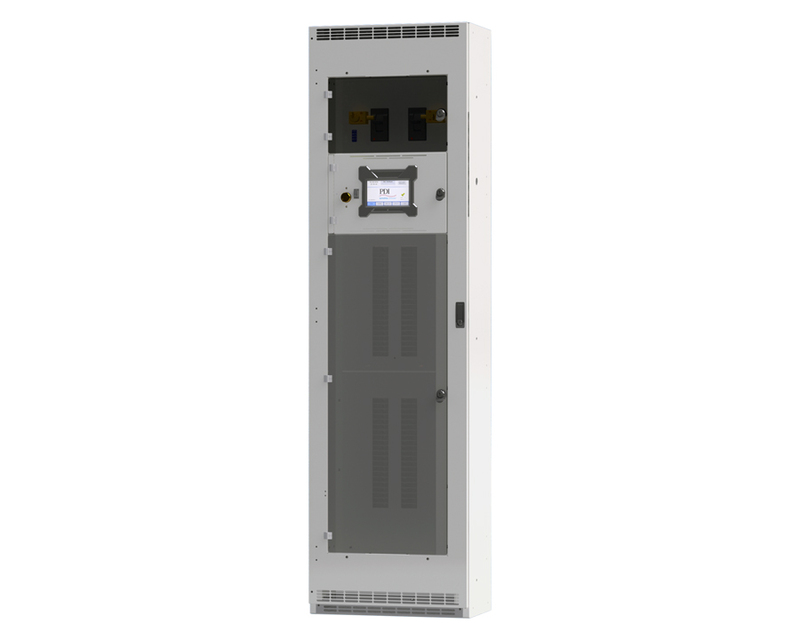 PDI's Powerpak Remote Power Panel (RPP) is a freestanding distribution system designed to increase the usable kVA of your Power Distribution Units (PDUs). Its 24” x 24” or 24” x 38” footprint allows in-tile or on-tile installations. As your Data Center evolves from high powered devices to many low powered devices, your system becomes limited by the number of distribution points on your PDUs. Configured in a freestanding enclosure, the RPP gives you the added flexibility and room for expansion by placing your power connection points closer to your equipment. Units are rated for 208v applications and can provide up to 168 additional single phase circuits. Optional equipment now includes the Branch Circuit Monitoring System (BCMS) and local monitoring. With many different configurations, the Wall Mount Remote Power Panel is the most stream-lined RPP on the market today. Its 9” x 26” footprint allows wall-mount installations that can fit into the smallest spaces. When combined with BCMS Monitoring and multiple panelboards configurations, the Wall Mount RPP can be adapted to the most demanding mission critical facilities. You’ve always wanted a rack–level data center power management system that gives you the power and environmental data you need, predicts where you may have future issues, lets you manage all of your PDUs from one dashboard, alerts you to and diagnoses problems. It’s time for SPM. Unbelievable functionality. Affordable and easy. You’ll be up and running in less than an hour to manage your entire network from wherever you are. Manage your entire PDU network from anywhere. Virtualized. Plug & play. The most affordable and accurate system available to measure, monitor and trend data center power. A flexible, stand alone power monitoring system, or middleware for DCIM or BMS integration, that makes managing your PDUs easy. SPM features a user friendly, single pane of glass dashboard view of your data center or enterprise. Get the data you need to make critical decisions regarding improving your uptime and energy efficiency while reducing costs and carbon footprint. Right at the rack level. Find out why the world's top companies rely on SPM. "Server Technology’s SPM Takes the Guesswork out of Data Center Efficiency with Predictive Trending Analysis"
It’s the most feature-rich, comprehensive version yet with unique functionality, only from Server Tech . SPM’s new Plug & Play SNAP feature and single pane of glass dashboard makes managing your entire PDU network easy. Manage your network from anywhere. At a glance data center views to manage, auto-discover, individually and group configure and upgrade. Predictive Trending Analysis. This new feature gives you insight into the future or past as you make decisions regarding your data center power. The predictive analysis can also generate “red alert” alarms based on future trends. Automated Cabinet Redundancy Status. Ensures cabinet redundancy if a power in-feed is lost, including stats report and bar graphic. Capacity planning tool. You’ll know where you have power and “U” space availability in your cabinets. SPM lets you run reports by available capacity or “U” space. Your choice of application – virtual or appliance. Your choice of system – middleware for DCIM integration or stand-alone power monitoring. All designed by data center power experts committed to quality, innovation and helping you save money and meet your energy efficiency goals. SPM's single pane of glass dashboard. At-a-glance ease to manage your entire PDU network. All right reserved 2018 © Critical Power Systems, Ltd.